What is Sangeeth in Marriages ? What is a Ladies Sangeeth? 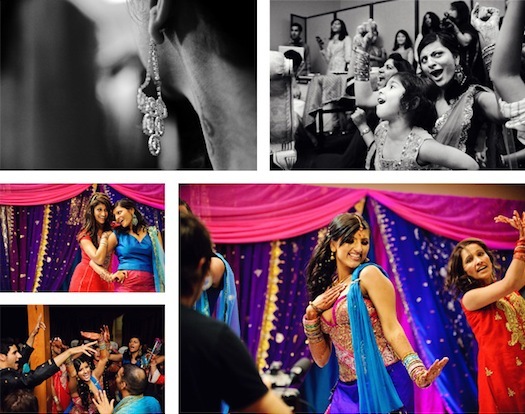 A Ladies Sangeeth is a pre wedding ceremony usually a few days before the Indian Wedding Plans. Friends and Family will come together to sing suhaags, traditional boliyan or korian with a dholki. Laghan Entertainment can provide a Punjabi Singer sing the suhaags or korian with dholki. Also Giddha Dancers or Bhangra Dancers can be hired out. During the Ladies Sangeet the ladies may also have mehndi applied. Mukta Event Managers also provide the mehndi and wedding decor in Hyderabad for the perfect mehndi setting such as mehndi cushions, candle lanterns, sarahis. There are many popular songs to choose from for your ladies sangeet or mehndi night. Some are highly emotional which are sure to bring a tear to you and your guests eye and some are fun and exciting which are sure to get everyone dancing and singing. Creating the right atmosphere is key for your sangeet night to be a success, Laghan Entertainment will work with you to select the right songs. Our Ladies Sangeet Singer will be accompanied by a dholki player singing all the folk songs dedicated to the marriage and to the bride and groom. The Mehndi Night for the Bride always has that emotional feeling as the bride will usually be leaving her paternal to start a new journey. However it is always important to keep the spirits up so that the mehndi night has the fun element to it. Traditional Boliyan are always one way of making sure that the event is fun, especially as the older generation join in, as they make their trip down memory lane. To make these memories perfect,do not forget to hire the services of a professional candid photographer in Hyderabad. To have a perfectly planned wedding in Hyderabad, call Mukta Event Managers!